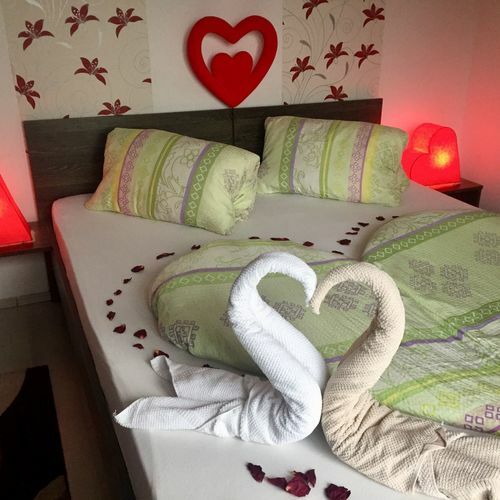 The Bálint Wellness Apartman is situated in Siófok's holiday resort, 100 m far from Lake Balaton, close to the Coke Club, 300 m away from the downtown. It awaits the guests all year. We offer 2 self-contained neighbouring apartments for 6-6 people. One of them can be found in the first floor of the house. On the ground floor is an indoor wellness department ( Jacuzzi, Finnish and infra sauna, outdoor swimming pool) at service all of the year. 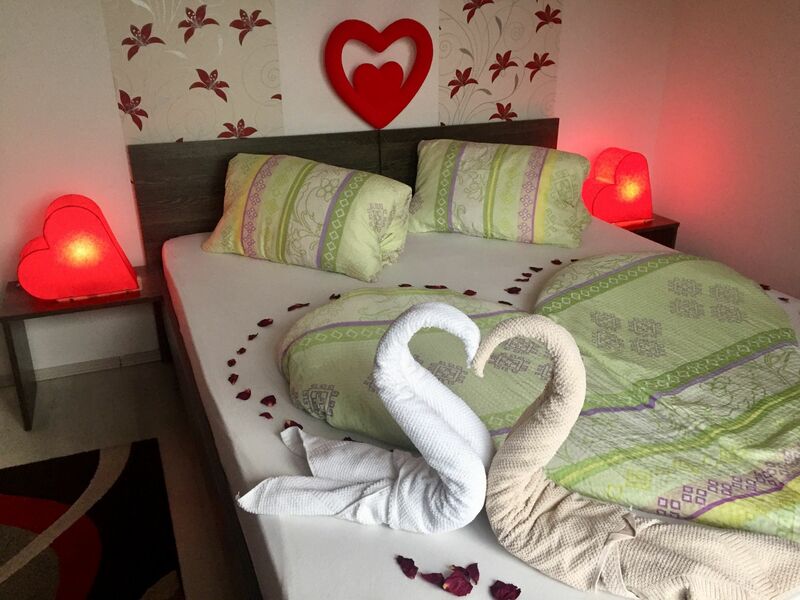 The apartment is equipped with air-conditioner, able to accommodate 6 people, has 3 rooms ( living room + 2 bedrooms), 2 double beds and a pull-out big bed. The kitchen is equipped with fridge, microwave oven, oven. 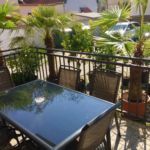 The house provide cable TV, a luxury bathroom with shower, terrace, a closed parking, 2 rottiserie in the garden. The other apartment can be found on the ground floor, equipped with air-conditioner. 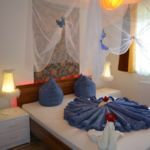 The 46 m2 big apartment is able to accommodate 4-6 people and provied well-equipped kitchen, bathroom with shower, terrace. self-catering, the kitchen are equipped with fridge, microwave oven. The garden and the terrace offer possibility for grill. 2 meters far from the terrace awaits a swimming pool the guests. Surroundings are numerous sport and leisure facilitites. tennis courts, Jókai Park, port, Coke Club, Petőfi walk, open-air theatre, concerts, cultural programmes. The prices depend on the off-, high- and late season and on the number of the guests. 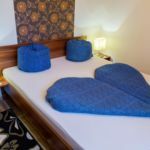 The prices are including the use of the wellness, of the swimming pool, parking and the bedclothes. 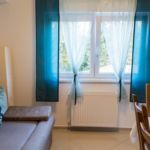 The rating of Bálint Wellness Apartman Siófok is 8.9 from the maximum 10, 42 based on actual and valid guest ratings and reviews. 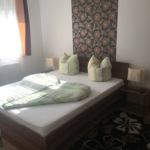 Upon check-in, the guests are required to pay a security deposit of 50 000 Ft (~156.14 €) , which is fully refunded upon check-out in case no damage to the property is done!